Home Article 45 Years American Actor Jorge Garcia Dating a Girlfriend or He Is Married and Enjoying Life With His Wife? 45 Years American Actor Jorge Garcia Dating a Girlfriend or He Is Married and Enjoying Life With His Wife? The American stand-up comedian Jorge Garcia’s performance on Curb Your Enthusiasm is what impressed "Lost" producers to specially prepare the character Hugo “Hurley” Reyes for him, making Jorge the first cast in the series which became the breakthrough of his career. Despite his overindulgence fame through career, Jorge Gracia tends to keep a low-profile about his on-going relationship. As many people would've already known about his on-and-off relationship with his longtime girlfriend, some still speculate that the two are still together. Let's dig in more into the personal life of Jorge Garcia's relationship including his weight loss journey. 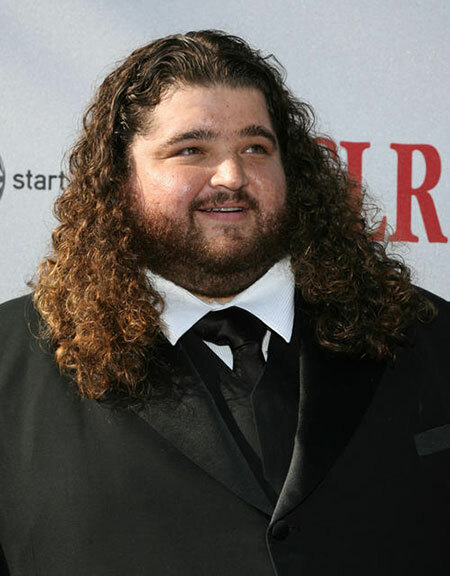 Is American Actor Jorge Garcia Married? Or Still Dating a Girlfriend? The American actor, more known as a stand-up comedian Jorge Garcia is still mum about his relationship, since last he's known to have dated his longtime girlfriend Bethany Leigh Shady. Firstly, in between 2004 and 2006, Jorge dated Malia Hansen. Shortly after he finished his journey with Hansen, Jorge leaned onto the next love. Garcia then began dating a novelist, as well as the Lost co-star Bethany Leigh Shady in 2007. Ever since, Bethany joined Garcia to host his podcast, Geronimo Jack’s Beard. Once, during the peak of their relationship, Shady and Jorge together appeared at several red carpet events and posted photos of each other on social media. But, the chemistry between them stuck after 2013 when many began to speculate that the pair broke up as they were no longer seen together in public. Neither Jorge nor Bethany made a comment about their relationship since then. Despite the thing, what actually it looked to be a breakup, many still speculate that the couple is together even now. Many of his fans also admit that they could even be married! Yet, both of them are cryptic about their secret romance laying themselves off of the media who often criticize about the difference in their sizes. Garcia's weight is another trademark for a big man of Hollywood, counting his curly black hair. Well, reportedly before filming the Lost, Jorge is known to have dropped down about 30 pounds of weight. But he took it up again while the show was up and running. 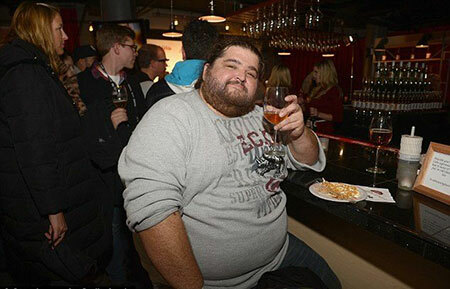 Jorge Garcia loses 30 pounds. Above all, Jorge's excess weight became a matter of worry to his co-stars who have undoubtedly feared that he could lose his life to a heart attack or maybe other weight-related fatal diseases like stroke and Type 2 Diabetes. In 2012, Garcia planned to sort it out shaping his mind on a diet plan which he called “Nooch” (another word for Nutritional Yeast). However, it didn’t quite seem to sort things out. And in 2014, more concerns were raised when Garcia’s weight was hitting 400 lbs. At that time, one of the close rep near the actor told National Enquirer that "gastric bypass surgery" is the only hope for Garcia’s to losing weight. As of 2017, the online images of Jorge still shows him with a big fat body. Perhaps, the comedian seems to be comfortable with the way he is now. Jorge Fernando Garcia was born on 28th April 1973 in Omaha, Nebraska, USA. Garcia is the son of Dora Mesa and Humberto Garcia. Jorge attended San Clemente High School and graduated from the University of California Los Angeles (UCLA) in 1995. The 45 years old comedian stands 6 feet 1 inch on the ground weighing 300 lbs. As of 2019, Jorge Garcia's estimated net worth is $5 million.